New York - Officials say state police issued tickets to nearly 12,700 motorists during a recent two-week seat belt enforcement campaign. 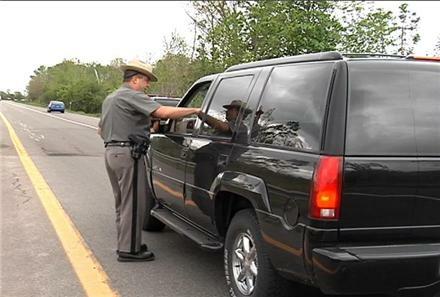 State troopers joined about 400 local law enforcement agencies during the “Buckle Up New York” campaign that began May 21 and ran through June 3. The tickets were issued throughout the state. Troopers issued a total of 12,692 tickets to motorists or passengers who weren’t wearing seat belts. The tickets included more than 800 issued for child restraint violations. New York State Police have operated Buckle Up New York campaigns twice a year for the past eight years. During 2011, more than 300,000 tickets were issued statewide to motorists who violated the state’s seat belt law, including some 80,000 issued by state police. Great, it should help close the gap in the budget. Anybody dumb enough not to wear seat belts today, DESERVES to get a ticket. Seat-belts is to save lives not close budget gaps! This is great as seatbelts save lives, but we still cannot get the NYPD to enforce the no cell phone talking while driving law. This should be an even greater priority than seat belt enforcement as it kills other people whilst seatbelt violations only jeopardize the violators. But then again, getting the NYPD to do something positive may be asking too much. Hope you don't believe that the reason they make these blitzes is to save lives! Obviously it saves lives, the seat belts that is. This is a fundraiser for these cash starved municipalities. “ That was tongue in cheek. Lets suspend common sense and say you are correct. You object that the threat of a ticket for not having a seat belt on may save lives? Keep your seat belt on and you won't have to give to the cash starved municipalities. As a side effect, if you get in an accident, your injuries may be lessened.